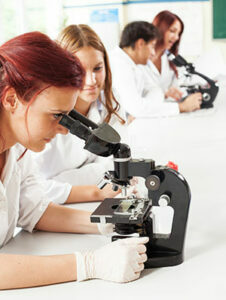 STEM to Stern is a prestigious program that was started with funding from the National Science Foundation. It is a two year-long cohort class for high-potential transfer students planning to major in fields related to Science, Technology, Engineering, or Math. The cohort is a supportive learning community and a powerful resource to help you succeed here at Bellevue College and beyond. 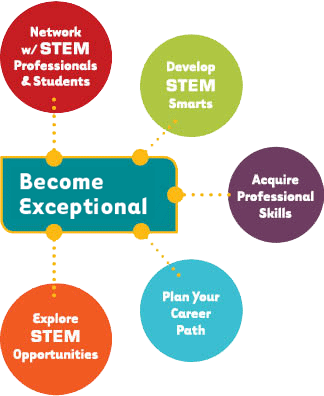 The STEM to Stern program is about the process of becoming a STEM professional. The classes help you build skills and connections that will enable you to succeed as a college-level STEM student and as a professional. Develop a network of contacts with STEM professionals and other STEM students. Develop “STEM Smarts” techniques that can allow you to optimize your time, be successful in your math and science classes, and advance as a STEM professional. Acquire and practice professional skills that will help you successfully compete for jobs, internships, scholarships, and other STEM opportunities. Strategically plan your career path by reflecting on your interests and strengths, conducting research about STEM fields, and planning next steps. Explore STEM opportunities and resources on campus, in the Puget Sound area, and across the country. The STEM to Stern program is a three-course sequence, and those courses meet Wednesdays, 2:30-4:10pm. Every quarter students meet STEM mentors from companies like Boeing, Microsoft, Honeywell, Puget Sound Energy, Amgen, the National Oceanic and Atmospheric Administration, and the US Army Corps of Engineers. In addition, students build professional skills. In fall, they create a resume and examine STEM professions and disciplines to see which ones match their interests, values, and skills. In winter, students build interviewing skills and learn how to apply for internships and scholarships. Each student must apply for at least one such opportunity, and our students have a very good track record of success at landing these opportunities! In spring, students focus on building a professional network online and in person. The syllabi for last year’s STEM to Stern courses may be found in the links below. The syllabi for next year will contain many of the same elements – but also some differences as the program is continually updated and improved. The STEM to Stern program has some eligibility requirements, and the program requires a short application process. STEM Squared is the cohort for second-year STEM students. It is a one-credit class that meets on Wednesdays, 2:30-3:20pm. STEM Squared focuses on learning how to transfer to a 4-year school that fits you. Students will examine multiple universities and departments, network with admissions officers, and practice creating transfer application materials. STEM Squared students also apply for prestigious NSF-funded Research Experiences for Undergraduates across the nation.